Born in Lynchburg, VA, and a 1994 graduate of Hargrave Military Academy, Staff Sergeant Gregory Copes enlisted in the Marine Corps in September 2003 after earning an Associate’s Degree in General Studies and a Bachelor of Science Degree in Business Administration. He began his Marine Corps career as a Machine Gunner and later became an instructor for the Small Craft Training Cadre. SSgt. 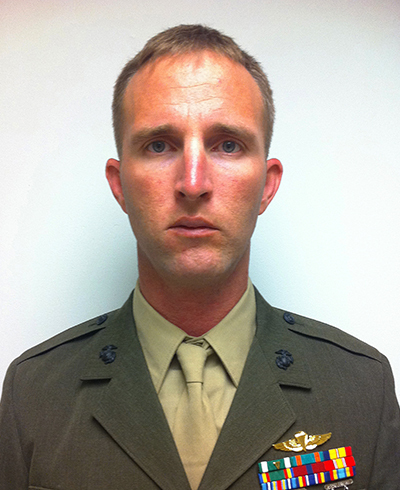 Copes joined MARSOC in April 2009 and was assigned to 3rd MSOB, Camp Lejeune, NC. SSgt. Copes deployed in support of both Operations Iraqi Freedom and Enduring Freedom. He was a parachutist and an expert swimmer. While assigned to Team 8313, SSgt. Copes was preparing for an Afghan Local Police inauguration ceremony near Kanesk, when a ALP recruit opened fire on the team, killing SSgt. Copes and the team’s Corpsman. SSgt. Copes’ personal decorations include a Purple Heart, a Navy-Marine Corps Commendation Medal with combat V, Navy-Marine Corps Achievement Medal, a Combat Action Ribbon and two Good Conduct Medals. Marine Raider Foundation shared a post. Some great pics from Adams Adventure - Appalachian Trail! Keep on keepin' on, Ernie and Cam!